Corrugated fiberboard or cardboard has revolutionized the packaging industry. This design made boxes lighter and easier to transport. There are also many benefits, including environmental and economical, to using this kind of material. The majority of cardboard packaging is made of birch or pine tree pulp. A lot of times this is combined with recycled content. Birch and pine trees grow quickly and are able to grow under many different conditions. They can be harvested sustainably. Cardboard packaging is one of the most green packaging solutions available. The average piece of cardboard is made up of 70% to 90% of post-consumer recycled materials. It is also possible to fabricate corrugated packaging without the need to use bleaches or dyes, further adding to its environmental friendliness. And even if your old cardboard doesn’t make it to the recycling center, it is biodegradable, so it’ll eventually break down on its own. By using recycled materials, it takes less energy to create corrugated packaging. Transportation costs are also reduced because the materials used to create cardboard are generally available locally. 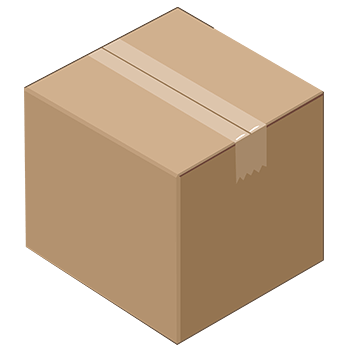 Cardboard packaging is very easy to handle during packaging, unloading and loading since boxes made from this material are lighter than other kinds of containers (eg: wooden crates). The materials needed to make cardboard packaging are relatively inexpensive. Take Amazon, for example, a company that must ship almost every order in a cardboard box. They can process up to 500 orders per second. Scale that over one year’s time. That’s a LOT of boxes! If a company like Amazon chooses to use corrugated packaging to ship their products, there must be something about them that makes good business sense. Corrugated boxes are wonderful mediums for printed graphics. Not only are they great for building brand awareness when used to showcase your logos and products, they also lend themselves well to working alongside something like custom packing tape. The tape used to close your boxes can be imprinted with any promotional message you wish – even something time-sensitive like a Black Friday sale. If you’ve ever ordered anything from Amazon, you’ll remember their “Prime” branded tape and understand the possibilities. You are able to get corrugated packaging boxes in many different designs, sizes, shapes and colors. Corrugated packaging materials are available in almost any region and are a great solution for companies all around the world. Let Direct Supply help you! We can find the perfect packaging materials to suit your business’s needs. Contact us today to find out how we can help you improve your materials and bottom line!